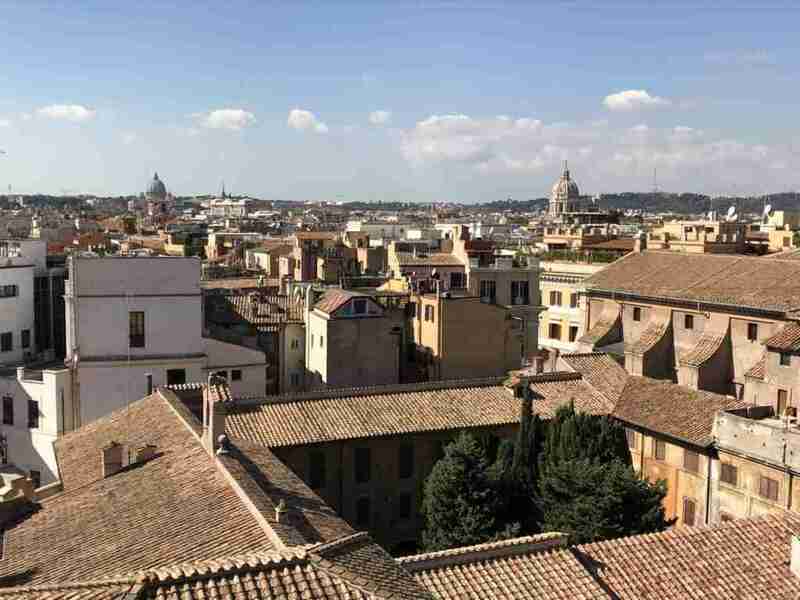 Rome has been written about so many times that we’ve all seen variations on the cliché phrase “Rome wasn’t built in a day.” It got me thinking — how long did it take to build Rome, anyhow? This timeframe can’t really be quantified. 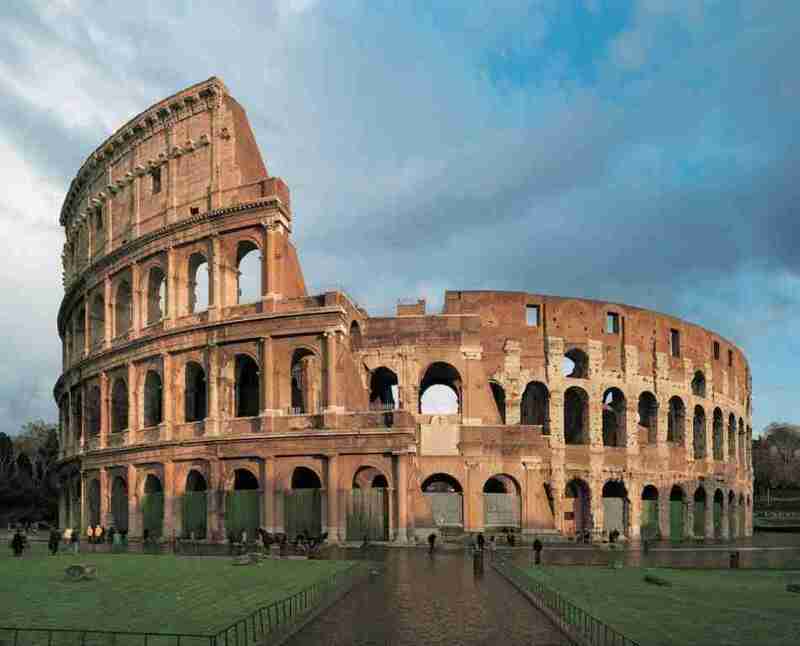 Of course, you can say that Rome is still being built, that it has experienced cycles of construction and demolition since its founding in 753 BCE. Then again, you can quantify how long it took to build individual sites in Rome. Let’s look at a few. 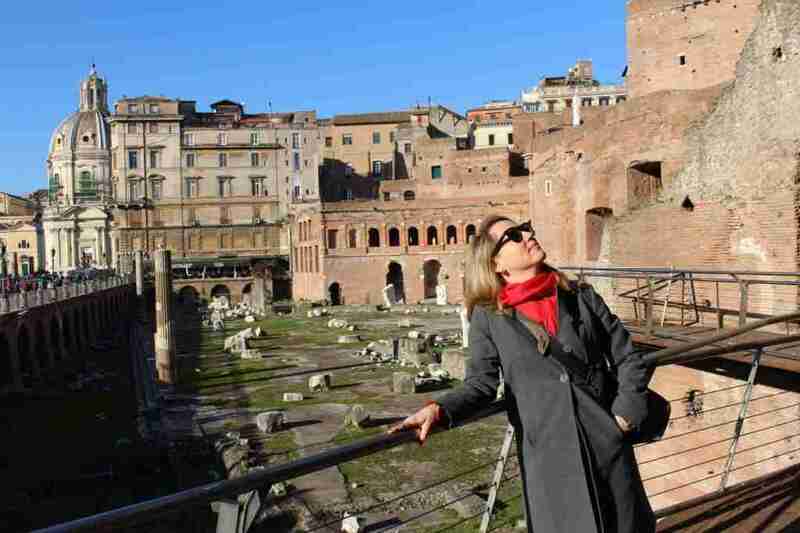 The center of civic life in ancient Rome, the Forum developed gradually over more than a millennium, with construction beginning in the late 8th century BC and continuing through the early 7th century AD. One of the earliest monuments in the Roman Forum that still exists today is the Temple of Castor and Pollux, which dates from 494 BC (Roman Republic). The last monument to be built in the Roman Forum was the Column of Phocas, erected in August 608 A.D.
Construction on the Colosseum started in 70 AD and the arena, also known as the Flavian Amphitheater, opened to spectators in 80 AD. Thus, it took only 10 years to build one of the most enduring symbols of Italy and the ancient world. 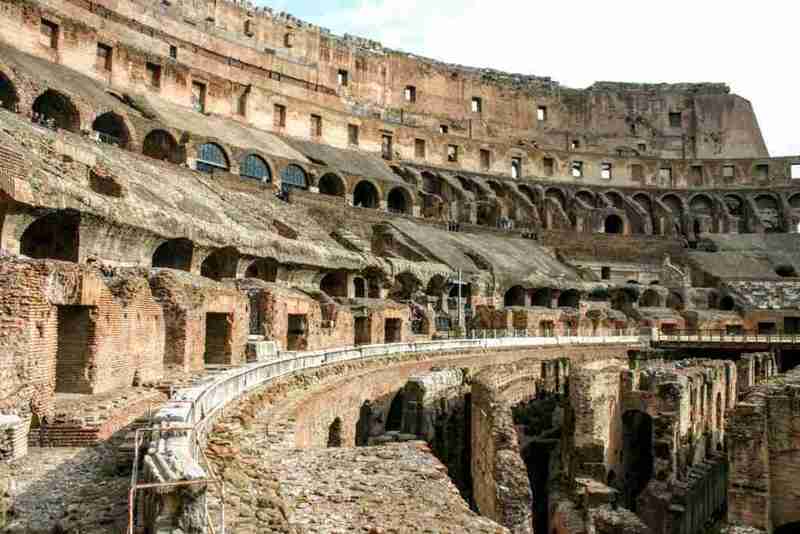 The construction of the Colosseum was carried out by as many as 100,000 Jewish slaves, most of whom had been brought back from Jerusalem following the siege of that city in the same year that construction began. The site where the Pantheon now stands was developed for use as a temple during the time of Augustus. The Augustan Pantheon was destroyed in a fire in the year 80, the same year the Colosseum was inaugurated. Another Pantheon was erected after that. But it, too, was destroyed in a fire in 110. 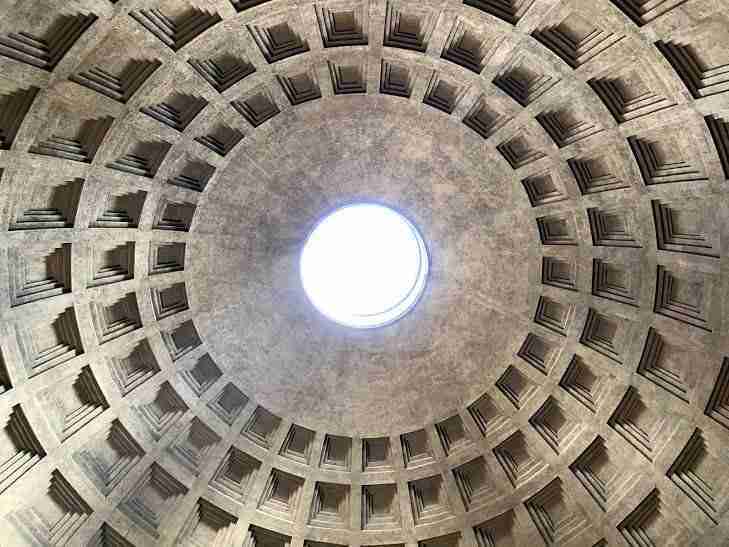 Construction on the Pantheon you see today began in 113 and lasted until 125. This round building on the Tiber called Castel Sant’Angelo is known as a medieval fortress. 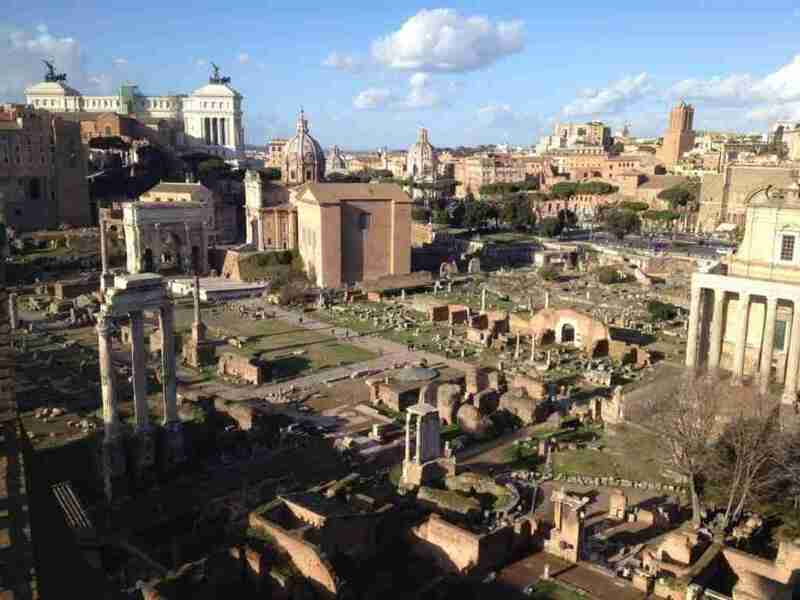 But it sits atop Hadrian’s Mausoleum, which was built between 123 and 139 AD. 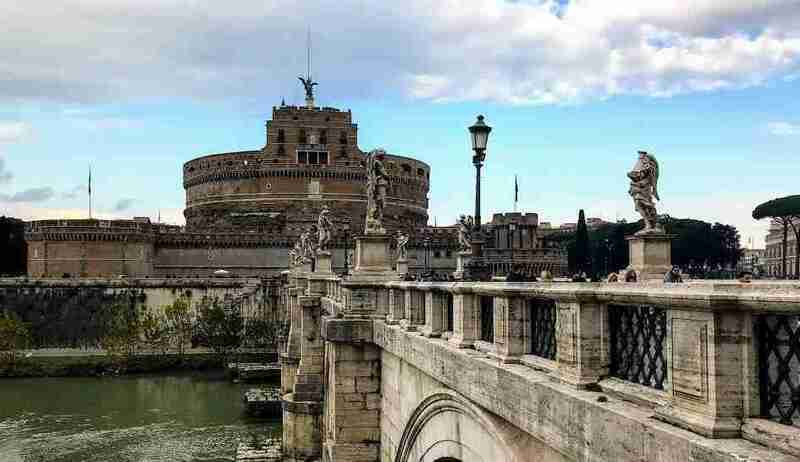 The Castel Sant’Angelo that we see today was constructed in various phases over 1,400 years in order to make the structure viable as a fortress, a prison, a home for fleeing Popes, and an archive for Vatican treasures. For example, the Passetto del Borgo, the elevated and fortified walkway that connects the castle to the Vatican, was completed under the guidance of Antonio da Sangallo the Younger during the reign of Pope Paul III (1534-1549). Though the walls of the Passetto date back to 850. At the time of their inauguration, the Baths of Caracalla covered an area of 27 acres, making them the largest public baths in the Roman Empire. Construction on the Baths of Caracalla began in 211 and ended in 216, though other decorations were added in subsequent years up to 235. Slaves from all parts of the empire built and maintained the baths. Later on in the 3rd century came the Baths of Diocletian, which covered an area of roughly the same size (27.7 acres) as the Baths of Caracalla but could hold more bathers. It even included a 3,000 square meter swimming pool. The Baths of Diocletian were built over the course of eight years, from 298 to 306. Saint Peter’s Basilica was built over the site of the 4th century church which had been built over the tomb of St. Peter. Groundbreaking for the construction of the new Saint Peter’s Basilica began in 1506 and construction continued until the church’s consecration in 1626. Approximately 20 popes oversaw the construction of St. Peter’s, beginning with Julius II and ending with Urban VIII. And there were more than eight architects who worked on the project, including Bramante, Michelangelo, and Bernini. Not so fun fact: both the Colosseum and the Pantheon were pillaged heavily for their marble and bronze. Thus the construction of St. Peter’s led to the deconstruction of two of Rome’s most famous buildings. The Vittoriano, that massive white building that caps off the southern end of Via del Corso, is one of Rome’s newest buildings. The Vittoriano was built between 1885 and 1911 as a monument to Vittorio Emanuele II of Savoy, the first king of Italy. A huge disclaimer here: I am not a trained historian. But I have done my best to simplify the construction dates of Rome’s most famous attractions for the purposes of this post. Conclusion: Rome wasn’t built in a day and neither were its monuments. No, Rome wasn’t built in a day. But now you know, roughly, how long it took to build some of its most famous monuments. 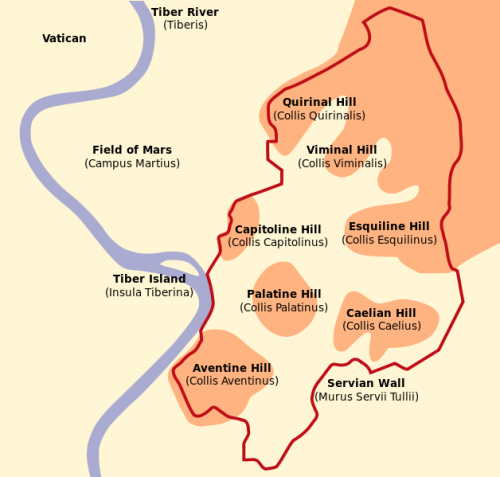 Which other Roman sites would you like to see added to this list?